Both physical and chemical deposition play a large role in many popular industries today. Thin film evaporation and deposition is essentially the application of an extremely thin film of material – relative to the size of a few atoms – onto what is known as a “substrate” surface. It is then coated with a specific material that is chosen by the operator to form layers. The process of thin film deposition is an integral part of today’s semiconductor industries, solar panel production, CD manufacturing, and other optical device industries. Thin film deposition is divided into two categories – physical deposition and chemical deposition. Although they may sound similar, they have significant differences that allow them to perform tasks that the other cannot. Chemical deposition utilizes a fluid precursor to produce a chemical change on a surface – resulting in a chemically deposited coat. An example of this is chemical vapor deposition which produces a high-purity, high-quality solid material that is used in the semiconductor industry today. Physical deposition on the other hand, refers to a more broad range of technologies where a specific material is released from a designated source and deposited onto a substrate through the use of a mechanical, thermodynamic, or electromechanical process. Two of the most common techniques of physical vapor deposition are sputtering and evaporation – two methods that differ from each other due to their unique step-by-step processes. The process of thermal evaporation involves the heating of a solid material that coats a substrate within a high vacuum chamber until it begins to boil and evaporates, therefore producing high vapor pressure. Now, inside this vacuum chamber, even a small amount of vapor pressure is enough to produce a cloud of vapor. This now evaporated material creates a stream that can travel through the vacuum environment without reacting or affecting the other atoms within the chamber. It will then travel all the way until it hits the substrate, thus “sticking” onto it as a thin film or coating. The process of sputtering is essentially the bombardment of a target material with a high amount of high-energy particles. Typically it’s used as a deposition method on a substrate for silicon wafers or solar panels. These substrates that are going to be coated are placed within a vacuum chamber that contains an inert gas. A negative electric charge is then utilized on the material that is going to be deposited, which then forces the plasma within the chamber to glow. The atoms are then sputtered off of the target through high-impact collisions with the inert gas, carrying these particles throughout the sputtering systems and then ultimately ending up being deposited as a thin film. 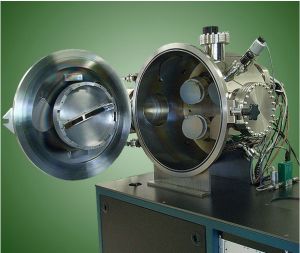 Denton Vacuum, LLC manufactures the finest ion beam sputter deposition equipment on the market. For questions on how you can go about purchasing these products, visit Denton Vacuum, LLC online today. That demand can’t be met by fossil fuels, especially as the climate changes. Randhawa points out the great freeze Canada experienced recently. The strain on the power grid causes black or brownouts that can make life quite difficult for developing nations especially. He further suggested that nations that don’t want nuclear within their borders have the option of leasing or acquiring power from neighboring countries at a premium. The end result is more efficient power generation, no matter which country actually hosts the reactor. The future of energy isn’t overly reliant on any one power source, but instead will combine multiple sources of power to create a more efficient power grid able to respond to peak usage. Better storage capacity for alternative energy does help to make wind and solar viable, but not as the sole provider of energy. Another advantage to nuclear is that it’s cost effective. 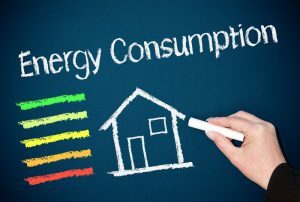 Recent studies have shown power plants can survive for up to 75 years, and replacing components such as steam generators can help improve that lifespan. When preparing your big move across the country, one thing you may dread moving is your safe. This should be unsurprising since safes should be difficult to move to deter burglars. However, you will need to have a great plan for moving your safe across the country. 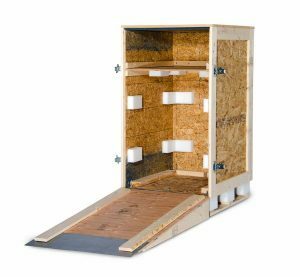 Measure your trtl30x6 safe and make sure that there is enough space in the moving truck for it. Otherwise, you may need to rent an additional moving truck to fit the safe. Anything that can make the tl 30 safes lighter will make them more manageable when moving them onto the truck. Move the contents to a safe place. As you move the burglary safe to the truck, keep it disguised so that criminals do not see the safe and see it as a potential target. Place the safe on the sturdiest dolly you can find. When moving the safe into the truck, use moving straps. Make use of freeways so you can minimize the number of stops along the way. If anyone notices that you have a safe, your truck may be more likely to be the victim of a burglary. Once the safe has reached its destination, use the same method used to place the safe to remove it from the truck. 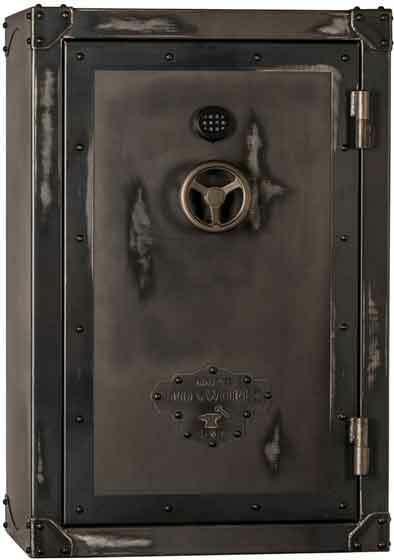 First Security Safe sells used tl 30 safes online, or in-store at their Los Angeles location. First Security Safe has the largest showroom in Los Angeles. Third party providers will need to be judged based on different criteria. 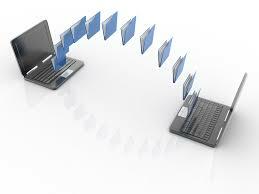 A prime consideration would be the number of partners present on the vendor’s system. Another would be international support for overseas partners. Some will also provide training and support for your staff directly. They should also be able to provide options on getting your partners on board EDI. In terms of financials the providers tend to charge on volume of transactions, while offering differing payment models. The payment models are usually annual, monthly or pay as you go. Based on the above, it appears that an in- house system will make the most sense for larger organizations that will be able to recover the significant investments. Smaller businesses will be better served by using a provider. Act Data is an web based edi provider for retail and supplier environments. Although he is britain’s richest man, he was born in the Ukraine and studied at Moscow State University. In 1978 he migrated to the United States and gained citizenship in 1984. His education began with a degree in computer science at Columbia followed by a Harvard MBA. His most publicized and famous deal was the 2011 purchase of the Warner Music group for 3.3 billion dollars. With it came the label that signed artists like Coldplay. His Yacht is named Odessa after the city where he was born in the Ukraine. He is known to throw a party on the Yacht every year during the Cannes film festival. This event is attended by hollywood and a-list celebrities. 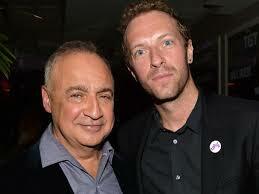 He owns one of the few grade 2 listed homes in the exclusive Kensington Palace gardens, London. Grade The house is valued at approximately 41 millions sterling pounds. As a listed home, it is considered to be of special architectural and cultural significance. The Blavatnik Foundation is one of the world’s leading supporters of scientific, education and cultural awards. The most famous of these is the Blavatnik Young Scientists Award which started in 2007. He has also personally made donations to Yale, Harvard and Oxford univsersities. He is married and has two sons and two daughters. His daughter’s Bat mitzvahs had Ed Sheeran and Bruno Mars performing. Len Blavatnik needs no introduction. He is the man at the top of Access Industries and world renowned philanthropist. Construction project managers have a monumental task on their plate: finish a building (sometimes something as ambitious as a skyscraper or sports arena) within a set amount of time and come under budget. Not so simple! 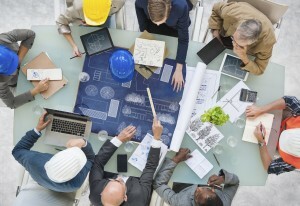 Still, with the right crew advising him, any construction project manager has a good chance of beating the odds and completing the project on time. Construction advisory services are an indispensible part of the construction process. Their job is to assist in all of the aspects of planning, from plans and permits to personnel and materials. They help you find solid suppliers who can deliver what you need on time. They also help coordinate with the various crews working on your project to fill in gaps for scheduling. They can look over plans and give some indication of scope of work, including items you might have missed as the manager. Most of these crews have experience tallying ten or twenty years, so they speak from a place of authority. They don’t waste time, and they understand how to get past planning and into production. A steel fabrication expert can be valuable throughout the project, as they will help determine what materials to use and how to use them. They can provide advice on welding, setting materials and even embedding steel. If your building has ornamental steel, these experts are well-versed in setting those beams in a way that is structurally sound and safe. If you’re seeking permit approval, a steel fabrication expert is well worth the cost of hiring. The biggest red flag to watch for when ordering materials is to guarantee a delivery date, and specify where the shipment will be delivered to. Access can be a huge problem for remote job sites, and that poor access can add to the overall tab for materials. Delivery dates can also be fickle if there is a supply shortage. Look for guarantees from your supplier, and keep all written correspondence. You may need to prove those guarantees in court. If you run into legal troubles along the way, a construction claims expert can provide you help at a more affordable rate than your average attorney. Legal disputes should go to an attorney, but claims are more about figuring out who is owed what money and why. A claims expert can help you organize the documents you need to prove your case in court. Claims can also go to mediation if necessary, which will give both you and your legal adversary a venue to air your grievance in front of a trained construction mediator. How safe is your safe? Although many people do not know it, safes can be classified following a system used by UL, which for over a century has been providing independent verification of safety and security for a wide variety of household devices. UL’s ratings are based on how long, in minutes, a safe can be expected to stand up to attempted break-ins and what instruments are used to try to break the safe. A TL in the rating indicates that the safe is resistant to hand and power tools, so for example TL 30 safes are those that require 30 minutes to break into using tools. TR means that the safe resists cutting torches — a safe that resists both tools and torches is rated TRTL. Finally, an X in the rating code indicates that the safe is also resistant to explosives. Note, however, that all these ratings apply only to the safe door. It may be easier for a criminal to break into the safe by cutting through one of the other sides. If this is a concern, look for one that has an x6 in the code, such as a TRTL30x6 safe. This indicates that the safe is resistant on all six sides, including the top and bottom. Which kind of safe is best for you? That depends on your budget, and what you plan to keep secure. A reputable manufacturer such as ISM Safes will be able to help you find the model that best meets your needs. 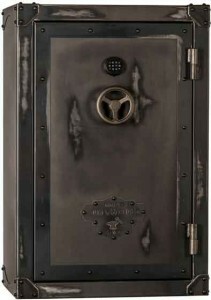 Looking for used safes online? Contact First Security Safe to find quality safes online and save money. Everyone wants the outside of their home to be a good representation of the people living inside. No one wants it to look bad or otherwise leave a bad first impression on those who walk or drive by it. It’s only natural to take pride in this sort of thing. Furthermore, people want to make sure the inside of their home is gorgeous and enjoyable as well. Who wants to come home to a house they hate? Who wants to deal with not being able to have friends and family over because their home isn’t up to snuff? Fortunately, you can do some really easy things to make your home look gorgeous throughout. 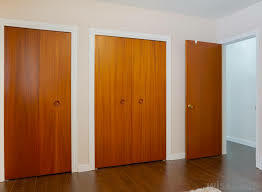 Solid wood interior doors will give you a look you can be proud of, whether you choose one to put in a prominent position or utilize them for every single room. Whatever the case, people will take notice. 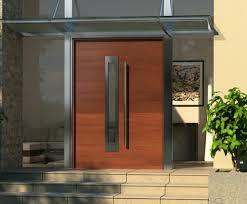 For best results, consider your options with mahogany doors. While they’ll cost you a bit more than your average wooden door, they’re worth every penny. You can almost feel the quality of this kind of door just by looking at it which is exactly what you want. If your home needs a new door or two, look no further than ETO doors. Whether you need mahogany interior doors or any other style for your home, this company has everything you could possible want and probably a few options you never thought of before.